Your HTML either contains unsafe tags (iframe, embed, styles or script) or extra attributes. They will be removed when the page is viewed. Create the gadget as XML file with any text editor, and upload or host the XML gadget file to the website on Google Sites itself, or at any online web hosting service. Build, manage and host the gadget using Google Gadget Editor (GGE). Here’s the brief step-by-step guide to build and host gadgets for Google Sites using two methods above. 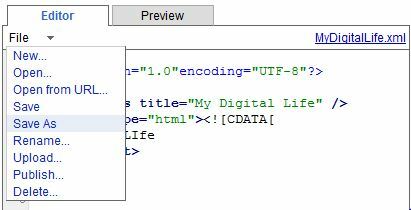 Create a new XML file (can be a text file with file extension of .xml) in any text editor such as Notepad. Replace the “Custom Gadget” with any prefer title for the gadget. Upload the .xml gadget to an online website. 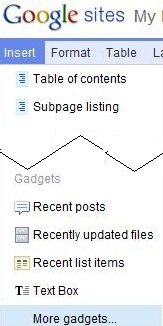 To host at Google Sites, create a page or edit an existing page, then expand Attachments section, and attach the file. Remember the URL (link location) at which the gadget is hosted and accessible. At Google Sites, browse to web page to include the gadget, and click Edit page button. Click on Insert from the menu bar. In “Setup your gadget”, click on Add gadget by URL. Enter the URL that points to the gadget. Customize the display properties of the gadget if required, such as width, height, whether to include a scrollbar, whether to include a border and whether to display title on gadget, and if yes, what’s the title. Sign in to Google Account if not yet logged in. Visit Google Gadgets Editor web page at http://code.google.com/apis/gadgets/docs/legacy/gs.html#GGE. Remove the line of Hello, world! and replace it with the custom code. Name the gadget by changing the hello world example in the line of ModulePrefs. Click on File menu, and choose Save As, and name the gadget accordingly.